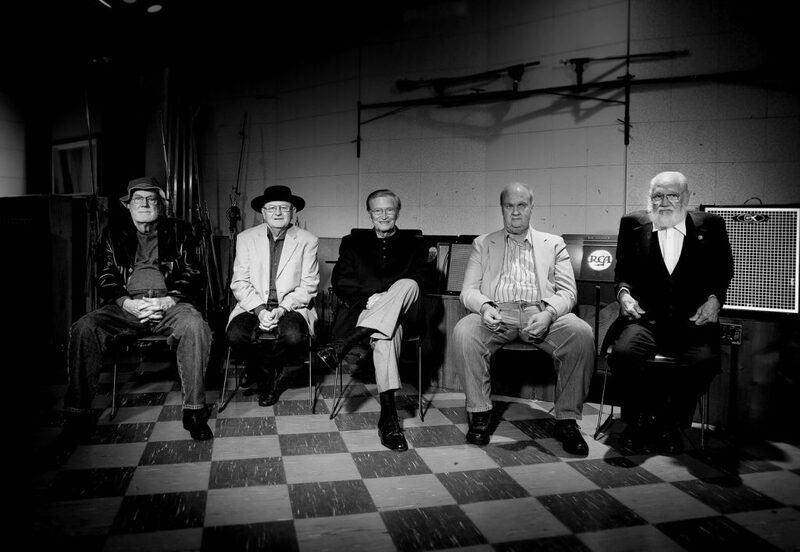 During the 1950s, 60s and early 70s an elite group of session players, The Nashville A-Team, clocked in every day of the week at RCA Studio B and Decca Records. Working on Music Row with producers Owen Bradley and Chet Atkins, the 12 original members recorded religiously with the world’s biggest stars. They recall Dolly Parton’s first day in town, a young Willie Nelson in an unlikely suit and tie combo and of course, Elvis who “worked extremely fast and was a lot of fun.” The A-team were opinionated, relentlessly hard working (they often slept underneath pianos and on studio couches.) They wholeheartedly gave themselves over to the music. Although the men admit they couldn’t predict the hits, every once in a while a song would be impossible to forget. If they really liked a song, they would sing it every day and night. Still, as Bradley explains, “The A-Team was a piece of clay that molded in the direction of the musician. When he was lucky, and allowed to be himself, the great songs were produced.